The Cao family and the Yin Yang Fairyland were one of the strongest, oldest forces of the Endless Sea. Through thousands of years, the a.s.sets they had acc.u.mulated could stun people. Shi Yan told them the auxiliary materials needed to build a Teleportation Formation. Cao Qiu Dao and Queen of Heaven Fan Xiang Yun nodded immediately, which told him that they had all the materials he required. The materials that were scarce in the Divine Great Land seemed not strange to Cao Qiu Dao and Fan Xiang Yun. When Shi Yan said the names, they could take the exact materials from the Storage Ring. When they left their families, they had stashed the properties their families had collected for thousands of years into different Storage Rings. There were more than ten Storage Rings with different colors on Cao Qiu Dao’s and Fan Xiang Yun’s fingers. Shi Yan was quite amazed. To be able to build the Teleportation Formation as quickly as possible, it seemed these two people didn’t want to hold anything back. Shi Yan was astounded. As his thought flickered, he couldn’t help but tell them the names of some other materials. The Heaven Flame Refining Devine Technique required a huge amount of auxiliary materials. As he was worried about how to collect them, seeing Cao Qiu Dao and Fan Xiang Yun, the two filthy rich people, he didn't want to be polite by not asking them for the required materials that he lacked. Thus, Cao Qiu Dao and Fan Xiang Yun couldn’t bear it; their faces became grimaced. The Heaven Flame Refining Devine Technique was a strange method to refine the heaven flames that needed many different types of materials, of which, some were never seen before. Their names could be seen only in some ancient books. 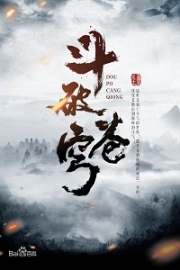 Fan Xiang Yun and Cao Qiu Dao had a broad knowledge, and their families were much stronger than the other small forces in the Divine Great Land. However, they had never heard about many materials Shi Yan had asked them. Light dimmed in their eyes. They thought that those auxiliary materials were all needed to build the Teleportation Formation. As they didn’t have enough materials, their faces became glum. Shi Yan was actually astounded. When he told them the materials that needed for the Heaven Flame Refining Divine Technique, he didn't think that they could have any of them. However, it turned over his expectation. These two had some mysterious materials that he didn't know how to find. "Don’t worry. We have the other way around to make up for the missing materials," Shi Yan comforted them. "I have something, too. If you don't have them, I can lend you some. I’m sure you can leave the Endless Sea. Don’t worry." Shi Yan smiled, his mood was good. He took all the cultivating materials that were piled up on the ground. Cao Qiu Dao and Fan Xiang Yun were the freaks who had lived for more than one hundred years. Of course, it was hard to deceive them. They had observed for a while, and immediately knew Shi Yan had seized the chance to rob them. Naturally, they wouldn’t say anything, as they could ease they minds now. As long as he could build the Teleportation Formation, even if Shi Yan had tricked them to take some more materials, they could let it go. "I’m going to carry it out. You guys should protect me during the process. Yeah, except for the time when I carve the formation, you can take rest. Don’t worry too much." Shi Yan smiled until his eyes narrowed. 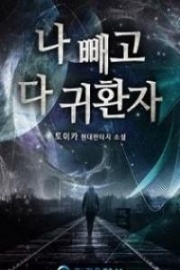 After he had taken the materials, he started to keep himself busy, not noticing the others. Corpse Mount and Corpse Sea were standing next to him. Before he started his work, they discussed with him for a while. Right after that, Corpse Mount, Corpse Sea, and a crowd of the newly formed members of the Corpse Clan followed the Devouring Gold Silkworm and the King of Demonic Insects to that mysterious s.p.a.ce. The energy in the skeleton there was pretty useful for them to increase their powers. That s.p.a.ce had many jade-like bones that they could absorb energy from. To Shi Yan, this sort of material didn't have much value. However, to the members of the Corpse Clan, it was the energy that could enlighten them. It would help them gain intellect sooner. Everybody was busy with their own stuff. Ghost Hunter and Cao Qiu Dao’s team were patrolling around. 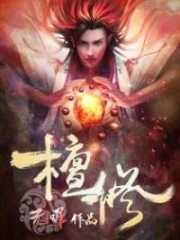 Shi Yan focused on creating a new Teleportation Formation. Corpse Mount and Corpse Sea were taking their clansmen to take the energy from the bones. Time flew by. It had been five days. That day, in the immense light, the Ghost Hunter howled. His whistle stormed out violently, raising big waves on the sea in front of them. Cao Qiu Dao and the others were startled. They knew something was going to happen. Then, they hurried to gather near Shi Yan. Covering himself with a strange halo inside a round structure around hundreds of meters squared, Shi Yan was using the Earth Flame to refine the materials. The Ghost Hunter’s whistle had awakened him. His Soul Consciousness moved as Shi Yan retrieved a glorious piece of silver jade. He frowned, looking at the thick cloud in front of him. In the cold, evil Dark Qi, Dark Dwellers were floating around. They all looked thin, their eyes sinister. Each Dark Dweller was slender, wearing a dark armor. Their hair and skin were silver, gray, or garnet. A Dark Clan’s expert standing in the front was around two meters tall, but he was as thin as a stick. He was holding a bronze mirror, his face indifferent. He had a distinctive aura of the True G.o.d Realm warriors, which led to the change of heaven and earth’s aura around him. 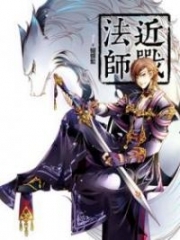 Yama King Hades, one of the three great warriors of the Underworld, was the one in charge of clearing the Tuta Sea. Standing behind Yama King Hades were three Third Sky of Spirit Realm experts. They were all middle-aged, their faces were brutal and vicious. A malicious light sparkled from their eyes. "Cao Qiu Dao, wind has changed. The Tuta Sea will never be under your Cao family’s control again." Yama King Hades was standing in a dark cloud, talking arrogantly. Above his head, sunlight and moonlight seemed to be covered, such that they couldn't shine on the ground. Only the stars could be seen twinkling from time to time. 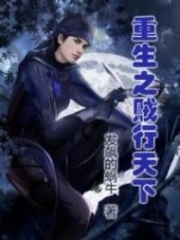 The one who had answered him wasn’t Cao Qiu Dao, it was the Ghost Hunter. He was floating up from the Cold Wind Island. This beast now looked like a young, heartless man. The curves of his mouth were both cold and sharp like a saber. His eyes were garnet, while he was exuding the distinctive aura of the Underworld. Hades had soon realized something abnormal in the Cold Wind Island. But he didn't expect that what made him anxious was the Ghost Hunter. He knew the Ghost Hunter’s profile well. 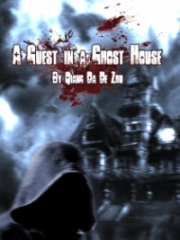 The Ghost Hunter was the hybrid of the two imposing demonic beasts of the Underworld and the Demon Area. He had both Dark Qi and Demon Qi in his body. He could be considered the most inexplicably magical creature in the universe. His birth had astounded them a lot. "Yeah," the Ghost Hunter was always cold. "You should leave. This place isn’t the place you can control. My Master’s here. You won’t take the things you want." "Master?" Hades laughed fiendishly. "An intimidating beast like you is willing to take a disgusting human your Master? Ghost Hunter, you are the most inexplicable living being in this world! Chi Yan, Bo Xun, and we had always treated you as our friend. We didn't want to enslave you. He's just a lowly human. Is he worth your life?" "Don’t babble. There’s something I can’t explain clearly. But I know that being with him benefits my future a lot." The Ghost Hunter wasn’t moved but answered honestly. "Future?" Hades mocked, "Do you think he still has a future? Muahaha. I'm here today. Well, as long as they're human, they have to die all. What future does he have?" Two clear sounds of things crossing through s.p.a.ce echoed from the s.p.a.ce crack not far from there. Corpse Mount and Corpse Sea appeared together, standing next to Ghost Hunter. "It’s you!" Hades suddenly got enraged. He pointed furiously at Corpse Mount and Corpse Sea. "Due to the change of heaven and earth, you should have received the inheritance already. You know what had happened, right? You are the intimidating Corpse Clan, the high-grade creatures like our Dark Clan! We should walk the same road. You two, are you going to protect this low human? Do you know what you are doing?" Corpse Mount and Corpse Sea didn't change as much as the Ghost Hunter. They were too lazy to answer. They stood still and didn’t move, but their att.i.tude was clear. "Good! Good! Good!" Hades was furious like a bloodthirsty beast. His eyes were sinister and evil as he said with a hoa.r.s.e, cold voice, "If you are persistent, don’t blame me for killing you all. Befriending humans is your humiliation! You have no right to live in this world anymore, so that the other high-grade races won’t laugh on your faces!" The bronze mirror in his hand struck out, as the Dark Sea of the Underworld appeared in the mirror. The seawater torrentially rose from the bronze mirror, covering the entire Cold Wind Island. The water of the Dark Sea was the original fountain that gave birth and nurtured the Dark Dwellers. It was the symbol of power. Each member of the Dark Clan, after soaking the body into the Dark Sea, would have their power enhanced. Then, they could perform many secret techniques of the Dark Clan. However, this seawater was the most poisonous toxin to the other races. The Dark Sea water could drag the soul of the other races members in for a short time. As long as the creature was soaked into the water, the waves would drag their soul out of the body. Then, the soul would lose its memory and consciousness. Eventually, it would become a primitive resentful spirit of the Underworld. 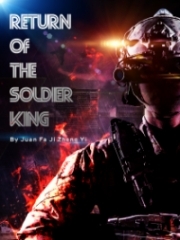 After the three Yama Kings Abi, Hades, and Dark Sky were hurt severely in the Endless Sea, Yang Tian Emperor, and Cao Qiu Dao didn’t dare to attack the Underworld because of the Dark Sea in the Underworld. The Dark Sea was strange and evil. There was no method to eliminate the sea’s effect on souls. If the Dark Sea seawater touched the warriors a little bit, their souls would lose a part of memory. The bronze mirror in Yama King Hades wasn’t a strong treasure, but it could draw the seawater of the Dark Sea, which was terribly intimidating. If the Dark Sea of the Underworld flooded the Endless Sea, human warriors there would be erased, leaving no trace. They didn’t need a single battle to get what they wanted. The torrential waves of the Dark Sea furiously gushed out from the bronze mirror, pouring on the Cold Wind Island. Shortly, the Cold Wind Island was flooded with the Dark Sea's water. All creatures, no matter they were human, demonic beasts, or the members of the Corpse Clan like Corpse Mount and Corpse Sea, were releasing different types of halo and light cages to separate their bodies from the seawater. "No use. You can’t endure for a long time. And me, I have plenty of free time." Hades laughed contentedly. 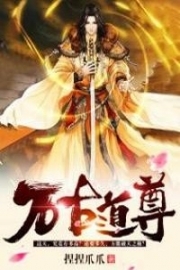 You're Read God Of Slaughter Chapter 604 online at NovelOnlineFull.com. You can use the follow function to bookmark your favorite novel ( Only for registered users ). If you find any errors ( can't read,broken links, can't load photos, etc.. ), Please let us know so we can fix it as soon as possible. And when you start a conversation or debate about a certain topic with other people, please do not offend them just because you don't like their opinions. You're reading God Of Slaughter. This manga has been translated by Updating. Author(s): Ni Cang Tian,逆蒼天. Already has 3760 views. Current Time is 18-Apr-2019 12:26:28 PM.